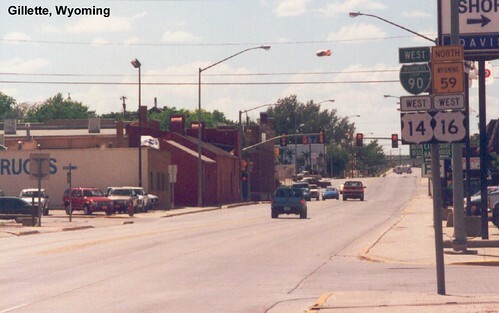 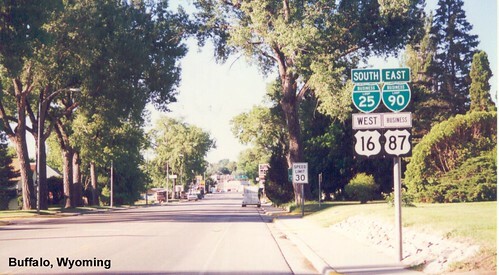 US 16 has a long multiplex with US 14. 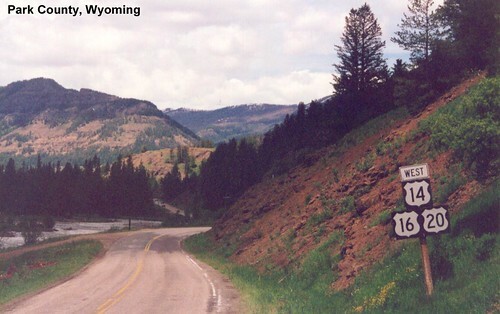 Spotted Horse is a pretty small town. 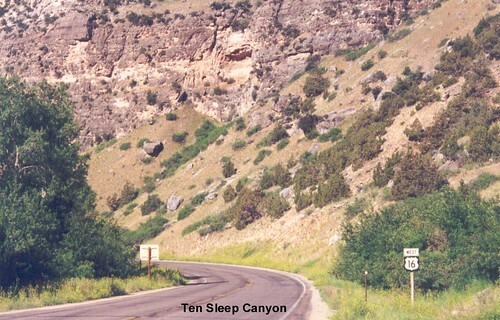 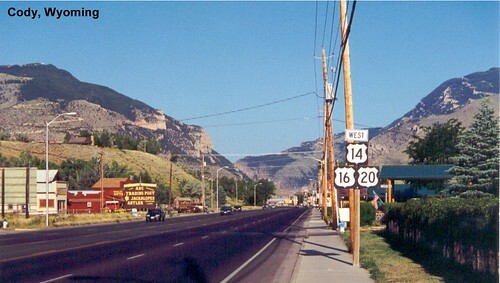 US 16 passes through Buffalo before heading into the Bighorn Mountains. 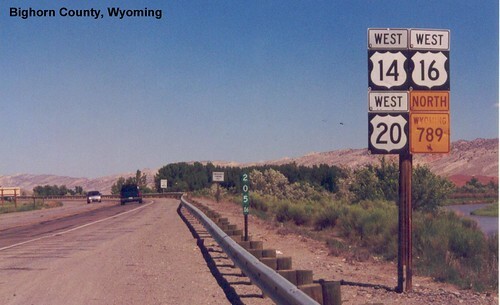 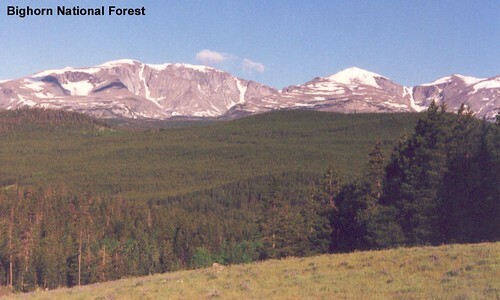 After passing through the mountains US 16 meets US 20 and then US 14 to head toward Cody. 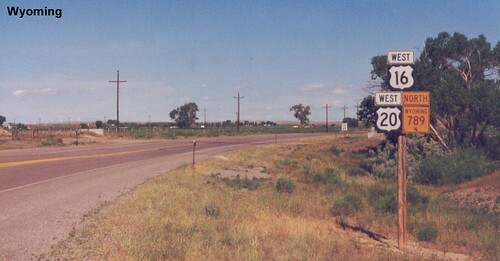 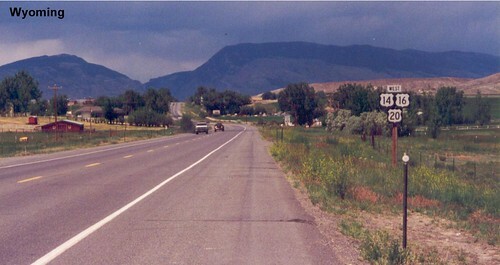 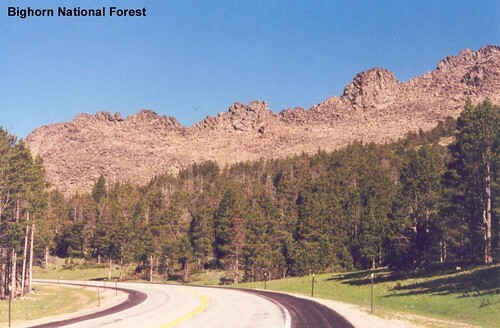 US 16 heads toward Yellowstone National Park while multiplexed with US 14 and US 20. 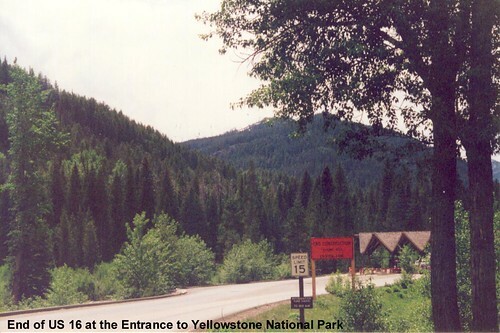 Although there's no sign, US 16 ends at the entrance to Yellowstone National Park.